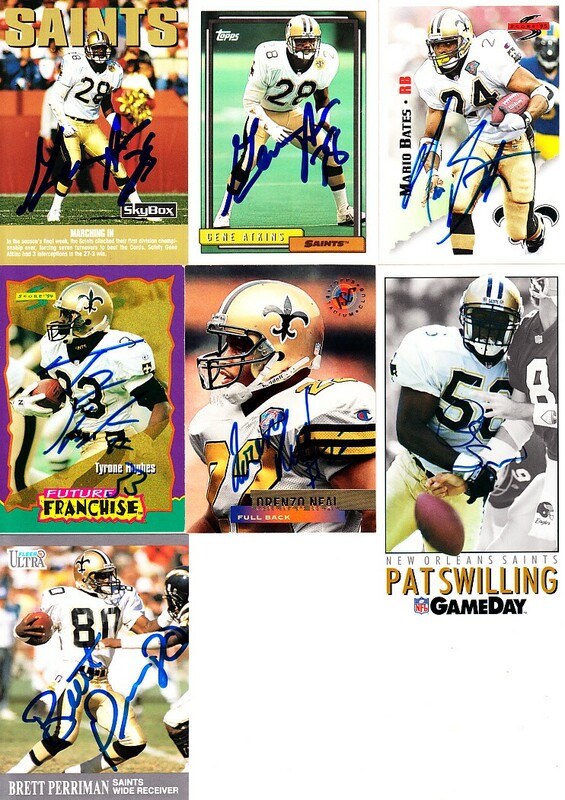 Lot of 7 different New Orleans Saints autographed 1990s football cards: Gene Atkins (2 different), Mario Bates, Tyrone Hughes, Lorenzo Neal, Brett Perriman and Pat Swilling. Obtained in person, with certificate of authenticity from AutographsForSale.com. ONLY ONE LOT AVAILABLE FOR SALE.